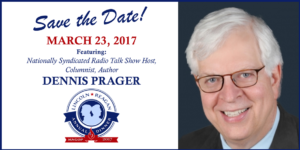 The Minnesota Republican Party is thrilled to announce Dennis Prager as this year’s Keynote Speaker! Please mark your calendars and join us Thursday, March 23, 2017 for the 2017 Lincoln Reagan Dinner! An official invitation will be emailed shortly with location and registration details! No additional charge for beer or food between 6:30 and 9:30 PM. Funds will be used to support Republican Candidates. The Republicans in Senate Districts 44, 48, and 49 invite you to join us for a beer and a chat on Thursdayevening, June 15. Pitchers & Politics is a gathering of Republicans at the Gold Nugget, conveniently located at 14401 Excelsior Blvd in Minnetonka. We’ll be in the back room from 4:30 PM to 7:00 PM. Your Republican friends and neighbors welcome your participation in our precinct caucuses tomorrow evening, February 6. Now is the time to help decide who will speak for you on local issues and chart the direction of Minnesota. Please don’t sit on the sidelines. The future of our Party and the Nation belongs to those who show up. Please plan to be in your precinct’s classroom and registered before 7:00 pm so that the work of the your caucus can go smoothly.You don’t need to be registered, but you need to be eligible to vote. You must be 18 years old or older on Election Day, November 6, 2018, live in the precinct in which you are caucusing and agree with the principles of the Republican Party. What are the objectives of the 2018 Republican caucuses? You have to be present to participate. You cannot drop by and vote. Your neighbor cannot vote for you. Be a meaningful part of the process. Get involved, get organized, and get engaged in promoting Republican values in our state and local communities! Delegates and guests are invited to attend the SD 44 Convention on Saturday, March 10. The convention will be held at Wayzata Central Middle School and begin at 9:00 am. Please arrive early in order to get registered and seated. The pre-registration fee is $20, at the door $30. You will be able to pay below with the PayPal option. You may also pay with a credit card at the convention. 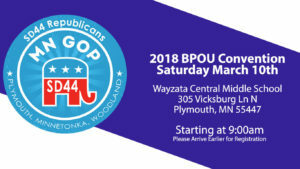 Candidates interested in being considered for delegate to the state and congressional district conventions should email sd44mngop@yahoo.com by 5:00 PM on Thursday March 8, 2018. 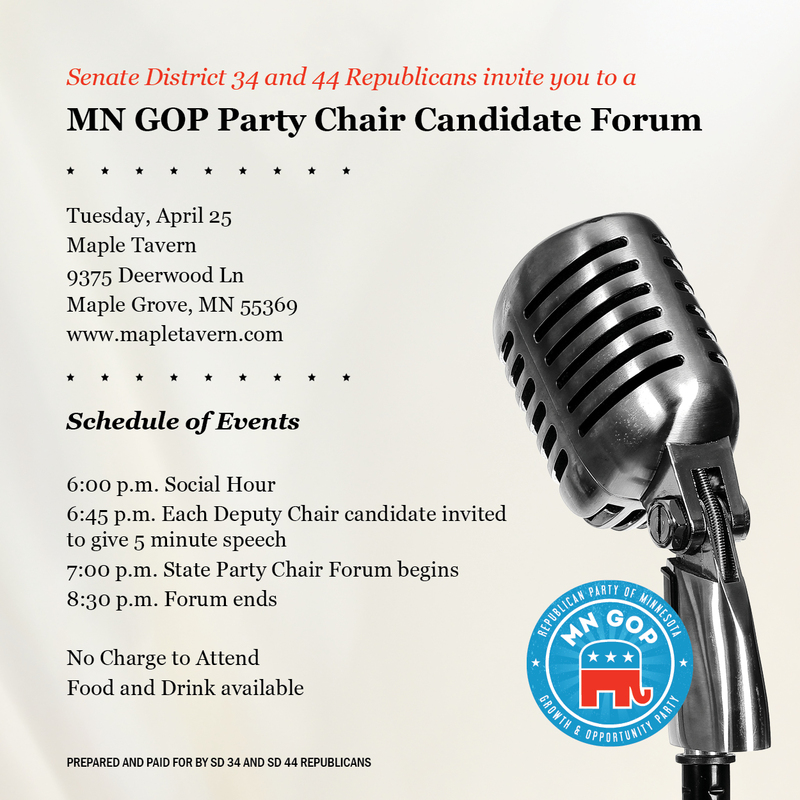 Pursuant to the provisions of the Constitutions of the Republican Party of Minnesota and Senate District 44, Delegates and Alternates for House District 44B are hereby called to meet on Tuesday, April 24 ,2018 for purposes of endorsing a candidate for the Minnesota House of Representatives. Registration begins at 5:30 pm, convention begins at 6 pm and registration closes at 6:15 pm. 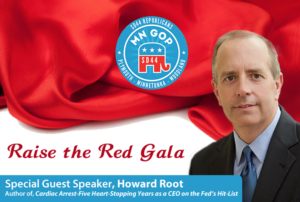 Endorse a candidate for District 44B of the Minnesota House of Representatives. Transaction of other such business as may properly come before the convention. Copies of the agenda and rules for the convention will be on: http://sd44gop.com week of the convention. Issued in the city of Plymouth, County of Hennepin, State of Minnesota, April 12, 2018, by the Senate District 44 Republican Party.